Avoid the holiday rush and celebrate the New Year with your team. 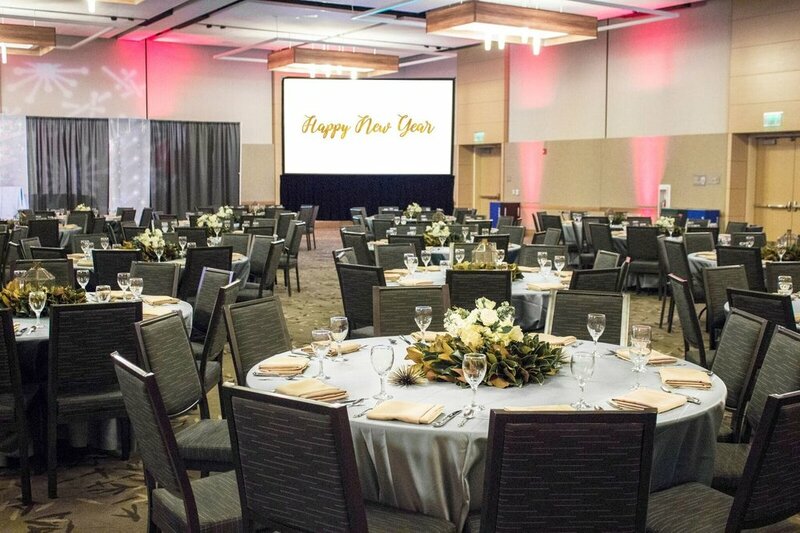 Sonoma State University would like to invite you to ring in the New Year with a memorable celebration on our scenic campus. Whether it's a festive reception or an intimate dinner, Sonoma State University has the perfect place for your next event. Our campus is centrally located off highway 101 and is in close proximity to several hotels. Make an impression with a large reception featuring a variety of interactive food stations in our Grand Ballroom. The 12,000 square foot customizable space can be transformed into your ideal venue. Host an intimate dinner or reception in the elegant Overlook restaurant. Enjoy picturesque views of campus while overlooking redwood trees. Provide a casual reception in a modern atmosphere at Lobo's. The contemporary space includes a large bar with a spacious dining room and a private patio with heaters.